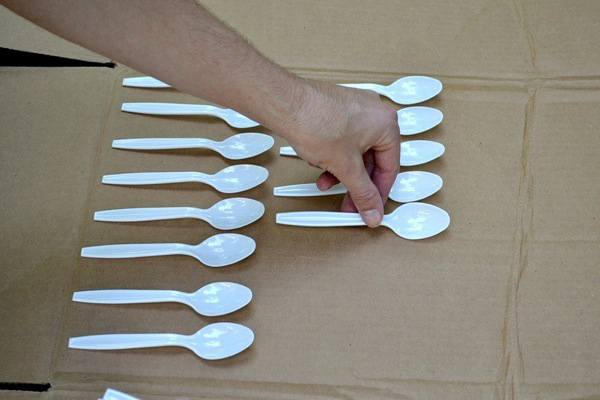 Have a bunch of plastic spoons leftover from a summer barbecue? 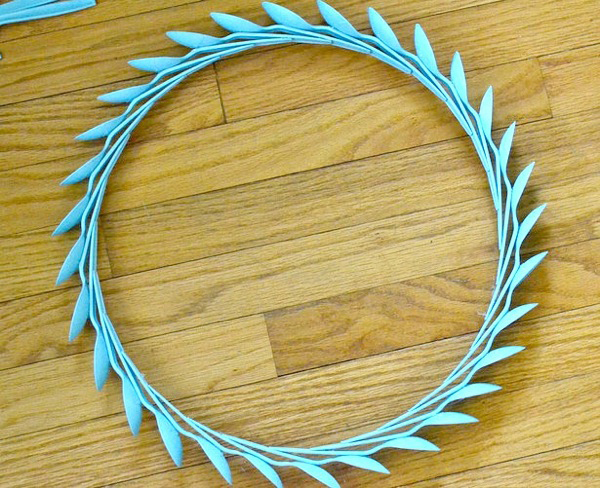 Turn those plastic eating utensils into a serious-statement decor piece with this easy DIY! 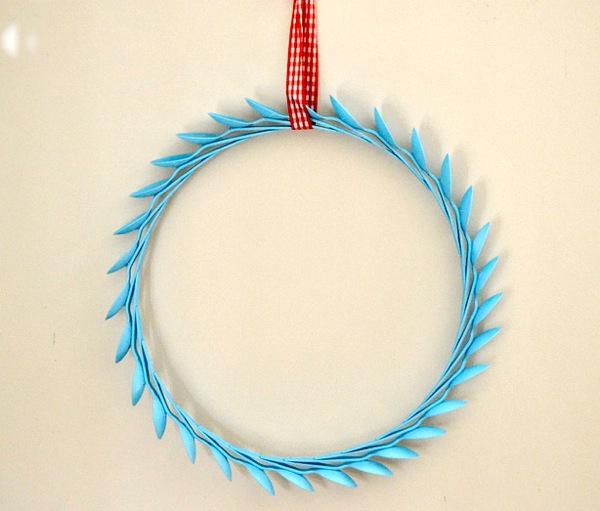 This project turns plain white spoons into a beautiful and unique wreath you can hang in your living room, kitchen, bathroom or bedroom with pride! 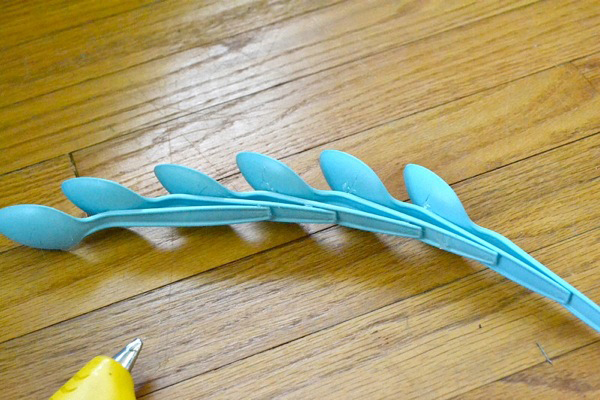 To add a splash of color, we painted our plastic spoons in a beautiful aqua to add a summery flair. 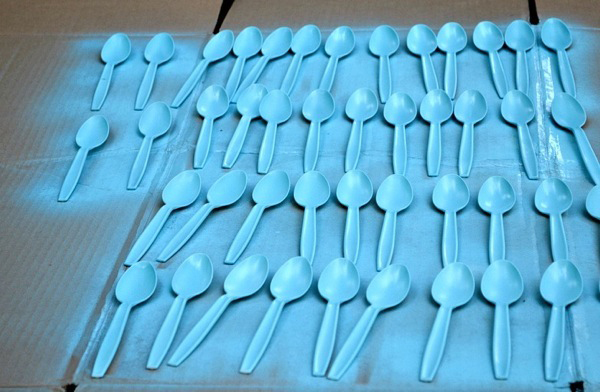 If you’d prefer not to paint, you can buy colored plastic spoons at Party City or Amazon! You can customize the colors to fit the theme of the room where you plan to hang it. Forget paying more than $100 for a wreath at those fancy department stores and make your own with this amazing DIY! Line the spoons up side by side so they are even. 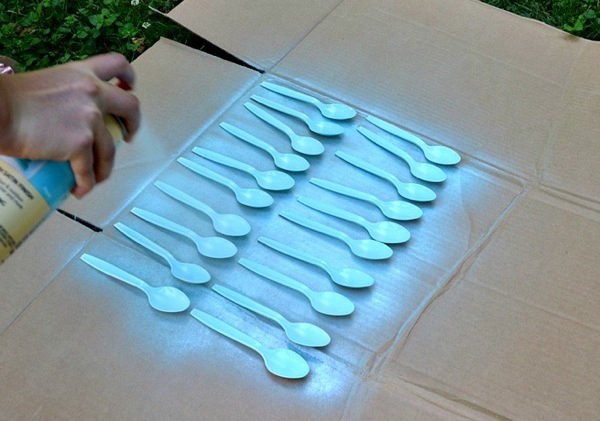 Then, standing a few feet away, spray the spoons with your colored spray paint. Be sure to stand far enough away so the paint doesn’t cake onto the bowl of the spoon. Let the spoons dry completely. Then, flip them over and paint the other side. 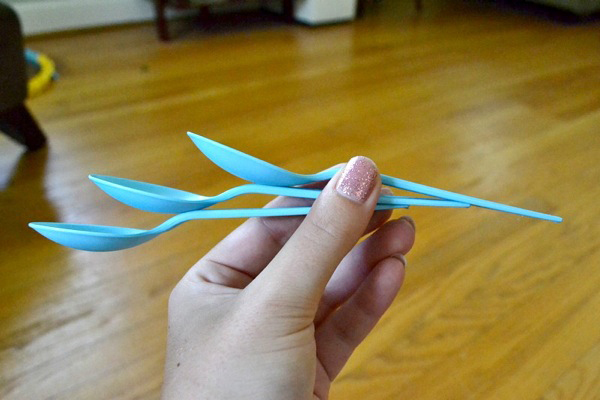 Let the spoons dry another hour-and-a-half before you move them. 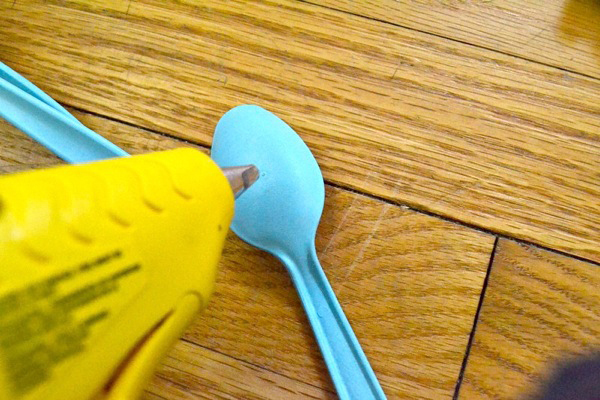 Carefully place a dab of glue onto the back of the round top part of the spoon and the handle of the spoon. 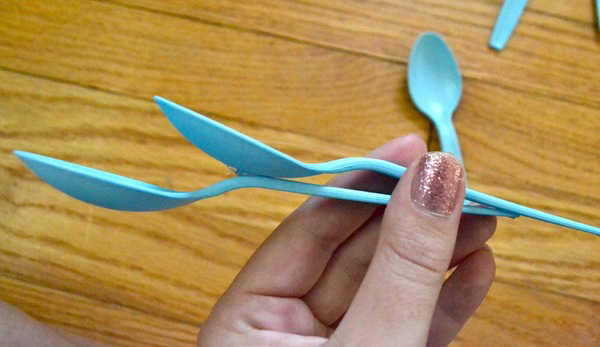 Place the second spoon on top of the first spoon, with the bottom of the bowl (round part) on top of the glue and line up the second spoon’s handle with the first one’s handle. Carefully press the handle of the second spoon onto the glue on the handle of the first spoon. You want the second spoon’s handle to be longer than the first one. Repeat until the spoons have created a circular pattern (they will naturally form this pattern). Then hang it up with some decorative ribbon and enjoy!